It's great to see the mountains again! We are back in Colorado Springs after a fabulous 2000 mile drive from Florida, eating our way west along the Gulf Coast into Texas and San Antonio's famous River Walk, north through Texas, New Mexico and into Colorado. The first few days home were beautiful - but then it got cold and dreary. It won't last long. We've been busy working in the neglected yard and setting up my sewing room. This was our first view of the Rockies as we drove north into Colorado. We saw lots and lots of Antelope playing in New Mexico and Colorado - but no deer. The wild flowers along the roads were beautiful. We didn't hit too much of this - but when we did - what a pain! 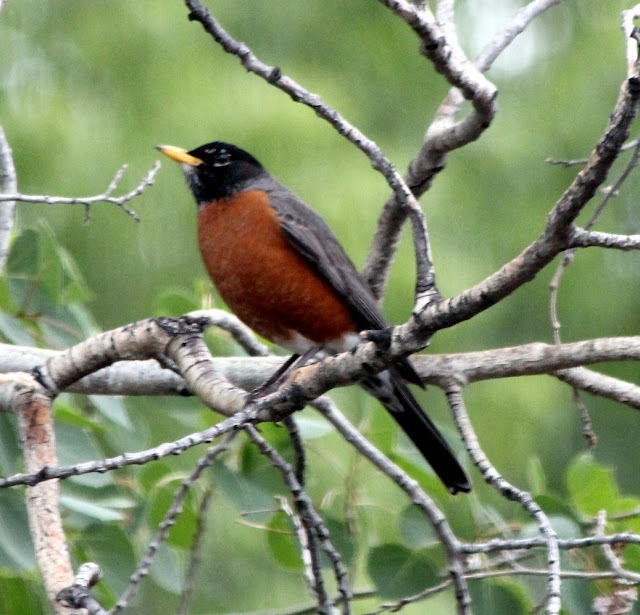 In Florida we have Boat-tailed Grackle but in Texas, where everything is bigger, they have Great-tailed Grackle. We weren't sure how they could get off the ground with that heavy tail. It is huge! 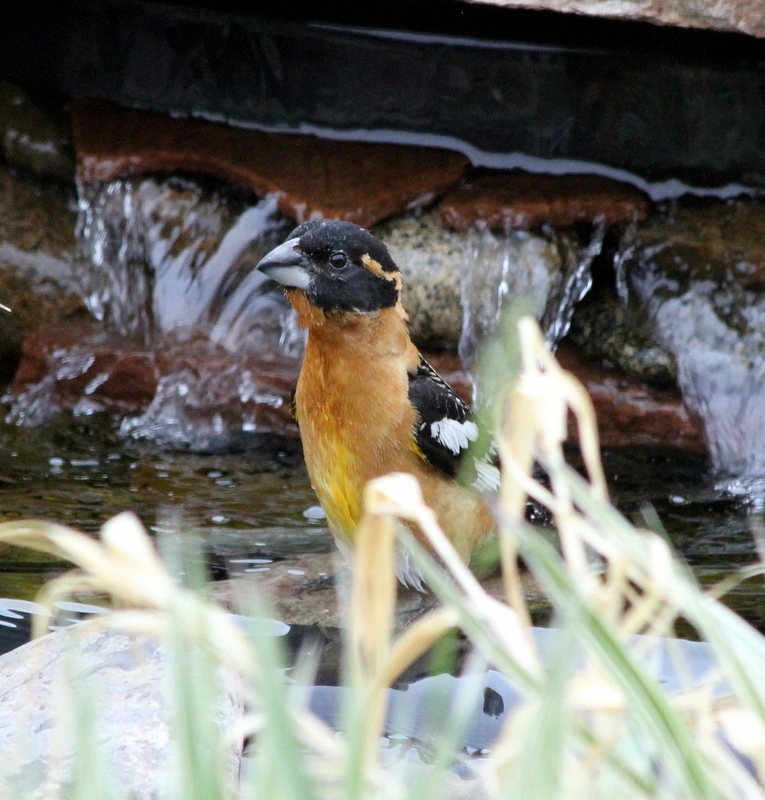 Once we got the pond cleaned and set-up and put out the bird feeders, the birds started showing up again. 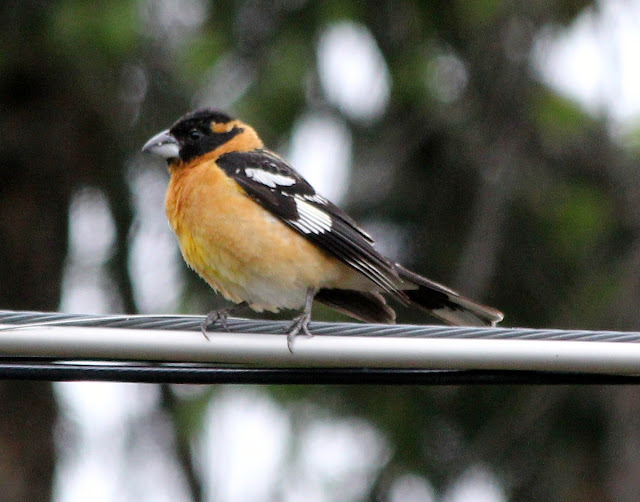 We saw a couple of Black-headed Grosbeaks - the one pictured and one that was more bright yellow. I wasn't quick enough with the camera to get a picture and I know the rules - if you don't have a picture, you didn't see it - so I guess I didn't see it. 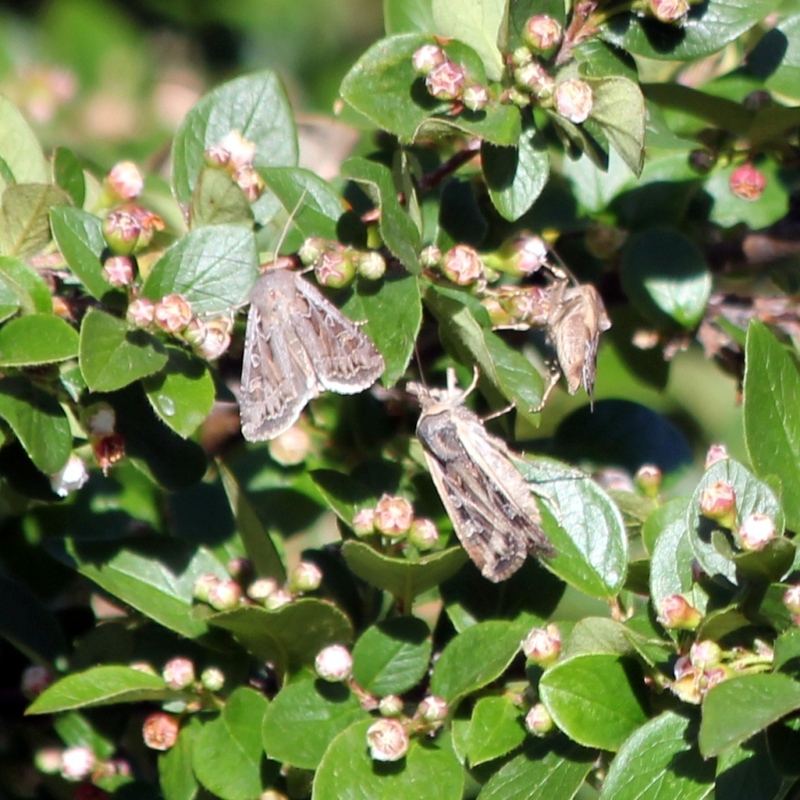 and they loved the Miller Moth invasion that greeted us when we arrived. It's almost over now as they have headed for the mountains and the Swallows have returned to thin them out - but I'm still finding them in the house.